As virtually everyone knows, life insurance is less expensive the younger and healthier the insured is. And children are very young and, usually, very healthy. This means that it can be relatively inexpensive to buy life insurance on a child or grandchild. Still, the idea of buying a life insurance policy on a child or grandchild makes many people a little uncomfortable. How can you even consider the possibility of profiting from the unthinkable? But, since the overwhelming likelihood is that the child will grow up and grow old, the child is the one who will profit from your generosity. If you buy a permanent life insurance policy – including whole life, universal life, indexed universal life or variable universal life – on your child or grandchild, you confer on the child some very significant benefits. First, you can lock in the child’s insurability, in case the child later develops a health issue that makes it prohibitively expensive or even impossible for him or her to buy life insurance. At the very least, the child will always have the death benefit of the policy you buy. And many permanent life policies allow the insured to increase the death benefit from time to time without underwriting. But the main objective of most people buying life insurance for a child or grandchild is to provide the child with something of value later in life. The policy will build cash value that the child can tap to help pay for education costs, a down payment on a new home or whatever he or she needs. If the child, as an adult, needs a larger death benefit, it might be possible to use that cash value to make a new policy with a larger death benefit more affordable. In that sense, the policy is a kind of a gift, a way to leave a legacy and to be able to provide financial assistance for your child or grandchild – even if you no longer are able to do so directly. There are different ways to structure a policy for a child or grandchild. Usually the parent or grandparent is the owner and beneficiary of the policy. When the child is old enough, ownership can be transferred to the child. You might want to talk to a tax professional about the gift tax implications of transferring either funds from the policy or policy ownership to the child. You also have choices as to the structure of the policy itself, ranging from the conservative approach of a traditional whole life policy to the more aggressive investment structure of a variable universal life policy. At The Bensman Group, we would be happy to talk with you about buying life insurance for a child or grandchild, as well as about any other of your insurance or investment needs. You can contact us at mcollins@bensman.com or 847-572-0803. 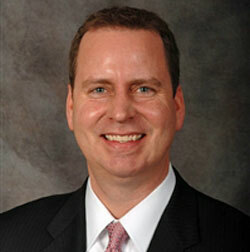 Michael R. Collins is Director, Individual Life Insurance for The Bensman Group.